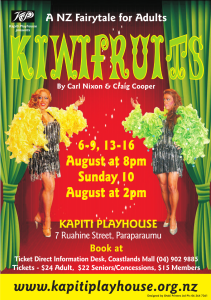 Kiwifruits bookings now open - Kapiti Playhouse Inc.
Good news for all those of you that have been holding out to grab your tickets for our next production Kiwifruits – tickets are now on sale! Tickets are available at the Coastlands TicketDirect Information Desk. 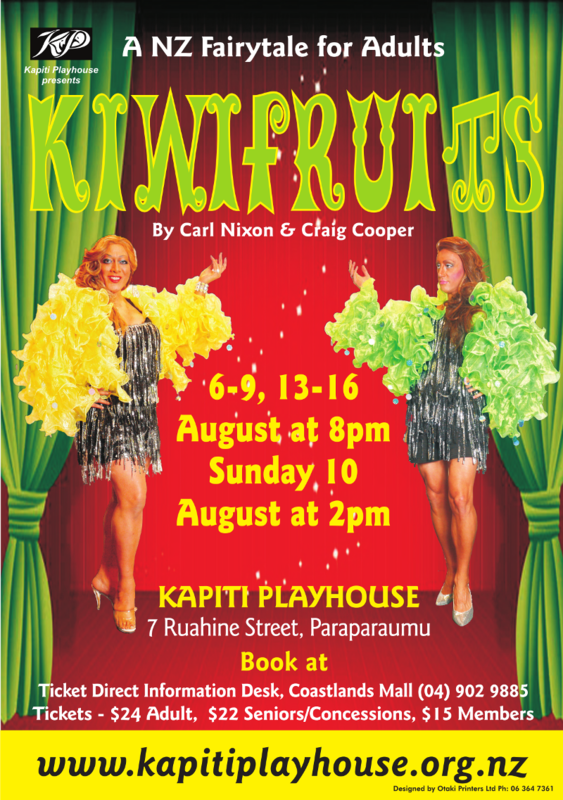 The ticket prices are Adults $24, Seniors / Group Bookings (8+) $22, and Members $15. You can also buy your tickets online on the TicketDirect website but please be aware that additional service fees will apply.